Many birds are known for their songs, but vultures cannot sing. Their vocal shortcomings inspired author Lee Zacharias. 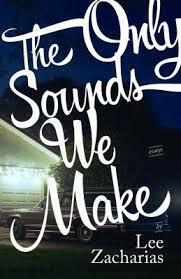 Her new book of essays, "The Only Sounds We Make" (Hub City Press/2014), meditates on speech and memory, drawing on a range of inspirations from vultures and spiders to her father's death and the Great Migration. Host Frank Stasio talks with Zacharias, author and creative writing professor at the University of North Carolina at Greensboro. Zacharias reads at Barnes and Noble in the Friendly Center in Greensboro tonight at 7pm and on Saturday at 11 am at McIntyre’s Books in Pittsboro.